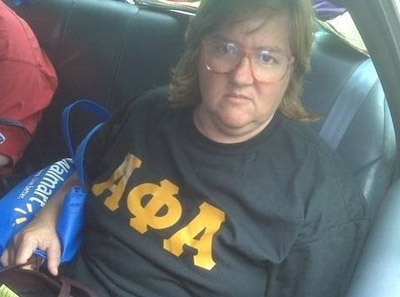 Buy Greek gear now, pay later. A real life horror story. In the spirit of Halloween, we wanted to share a scary story that happened in real life. 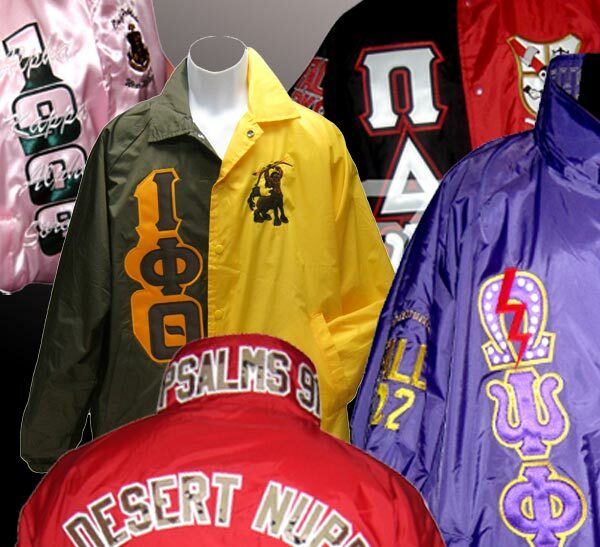 A group of sorority sisters needed some line jackets, but for some reason they went with a local unlicensed company instead of coming to S4G first. Look at the photos below that one of them sent us and you'll be shocked! Cheap stick-on lettering...orange letters (AKA's colors are pink and green, not orange)...and just sloppy work in general. Can you believe this!? Sadly, this is not a hoax. This really happened. Please understand that we are not trying to ridicule these young ladies. On the contrary, we feel sorry that this happened to them, so we are using this story to warn others. If they would have come to S4G first, they would have been given a precise proof to show exactly how each jacket will look before we begin production, and they would have a lifetime guarantee on their embroidery. Plus, our work is super clean and precise when compared to all other companies. Take a look. 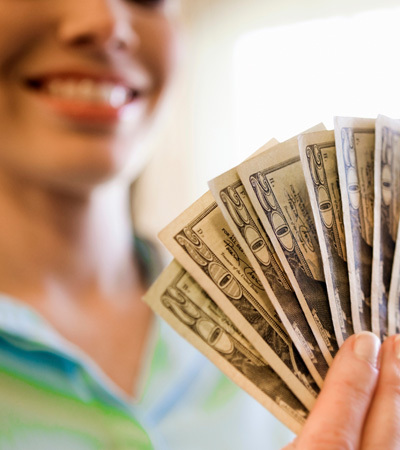 And last, but certainly not least, we are licensed vendors, which means everything we do is approved by and meets the standards of the sorority's national headquarters. We are Greek-owned, and we know the do's and don'ts of Greek paraphernalia. To their credit, these young ladies wanted to bring their order to us after the fact, but it was too late because the other company already started on their jackets and wouldn't give their money back. What a nightmare! We hope it all works out for them. If not, we are here to help. The lesson: Don't let this happen to you. Choose wisely the first time. Whether you need 1 or 1000 jackets, let the experts at S4G to handle your order with love and perfection. Coordinating a group order? We just made your life easier. We just launched 18 new patterns of specialty fabric for you to choose from to make your Greek letters unique. Plus you can even provide your own fabric. 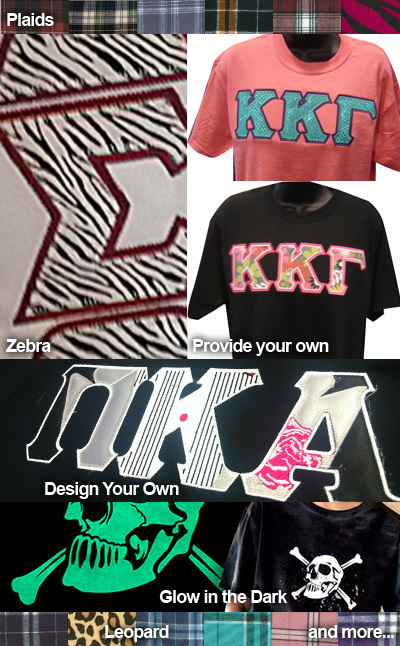 How to order: Choose the new letter styles under the "Letter Color" section on our custom apparel order forms. These fabrics are currently for embroidered (sewn-on) letters only. 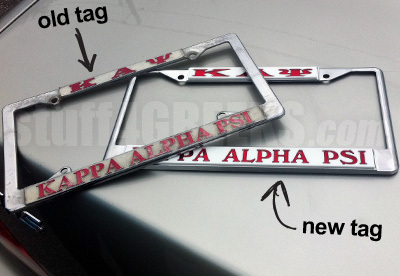 Time to replace your car tag? All Greek t-shirt designs available in short or long sleeves. Autumn is here and the weather is getting cooler. Did you know you can get any of our Greek fraternity and sorority t-shirt designs in long sleeves too? Just choose Long Sleeves from the option menu on the order form. And remember, if you don't like any of our pre-designed selections, you can always customize your own gear.